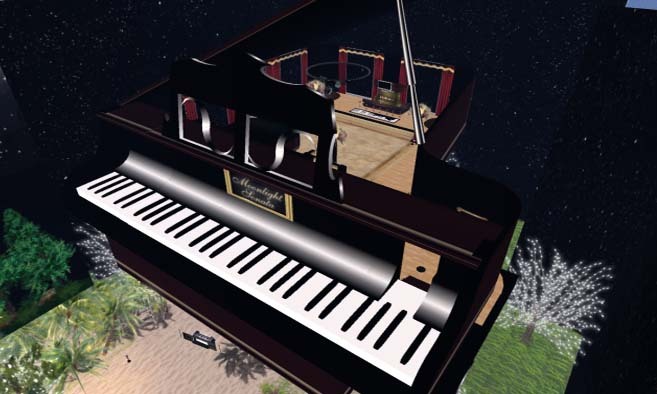 Moonlight Sonata is the friendliest little piano bar in all of SL for romantic pop music. Come dance with your date or meet someone new. The surroundings are warm and the people are friendly and fun. You'll find yourself laughing at the open chat as you become a part of the family. Formal wear, please, or cocktail dresses are always fine for the ladies.